You receive a telephone call from a pipeline production company and the representative on the phone informs you that they want to bury a pipeline across land that will carry crude oil from one state, say Western Tennessee, across Arkansas, and then into Oklahoma. As an Arkansas landowner, what should you do? Nothing is more important than knowing your rights and seeking competent legal counsel. In Arkansas, interstate pipeline companies do have the power of eminent domain and can acquire an interest in a landowner's property for the purpose of burying their pipeline under most circumstances. The interest they acquire is limited though, and in most cases it is only an easement. The taking is not free; rather, the pipeline company must pay the landowner just compensation for the taking. Most litigation involving pipeline eminent domain cases involve the amount of just compensation. Just compensation is determined on a case by case basis and depends on the facts of each landlowner's case related to the particular property at issue. In each case the landowner can present experts and testify about the value of the property taken. If the landowner does not accept the pipeline company's compensation offer, then the appropriate compensation can be determined by a jury. If you have a question about property law, oil, gas and mineral law, or pipeline eminent domain law, please contact one of the attorneys at Daily & Woods, PLLC for a consultation. Daily & Woods, PLLC handles pipeline eminent domain cases for clients in all counties in Arkansas, including, Pulaski County, Faulkner County, Pope County, Franklin County, Johnson County, Crawford County, and Sebastian County, Arkansas. 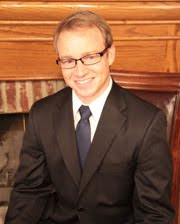 C. Michael Daily is an attorney with the long-established Fort Smith, Arkansas law firm of Daily & Woods, P.L.L.C. and is licensed to practice in the states of Arkansas, Oklahoma, North Dakota and Wyoming. Mr. Daily can be contacted by telephone at 479-242-3953, by email at mdaily@dailywoods.com, or by regular post at 58 South 6th Street, Fort Smith, Arkansas 72902. You can follow Mr. Daily via social network using any of the social network links in the right hand column of the page. Disclaimer: This blog is for informational purposes, is certainly not to be considered legal advice and is absolutely not a substitute for any of the benefits that are associated with the attorney-client relationship.